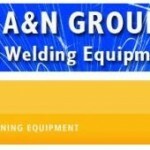 On behalf of Red-D-Arc, Maynard’s will be holding an online auction of used welding equipment on November 18, 2014. This unprecedented offering of professionally maintained late model, high-end welding equipment will include over 1,000 pieces of equipment from leading brands including Red-D-Arc, Miller, Lincoln, Hypertherm, and more. The auction will be facilitated through the services of Maynard’s and BidSpotter.com. Maynard’s is a highly respected auctioneer specializing in the asset conversion of industrial equipment since 1902. 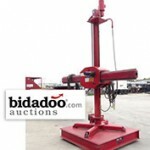 The BidSpotter.com platform features timed online auctions with real-time updates. The timed online auction will take place without an auctioneer calling the sale. Each lot can be bid on for a defined time period. At the end of this period, the bidder who has submitted the highest bid wins the lot, provided that the bid exceeds the reserve price.